It is vital to accurately maintain the optimal temperature for your laboratory reactions and assays. When it comes to incubators, there is a wide range of models, features, and specifications available. Mini incubators, with or without shaking features, can be extremely useful for microbiology applications and are designed to maximize space efficiency while making temperature control significantly easier and more consistent. The Benchmark MyTemp Digital Mini Incubator was designed to resolve many of the obstacles that make typical incubator use difficult. Benchmark engineered the MyTemp Digital Mini Incubator to maximize space efficiency while making temperature control significantly easier and more consistent. This incubator is made for application optimization and makes incubator work much more convenient for scientists with limited time. MyTemp Digital Mini Incubators feature digital temperature control along with a large LED control panel to take the stress out of setting the temperature and let users focus on their other work. Rather than the typical analog knobs (which require constant checking of the internal temperature), the MyTemp Digital Mini Incubator is equipped with an easy-to-use button system to set the temperature. Users can then monitor the temperature on the LED display and be confident that the incubator is set to whatever temperature they selected. The display shows the real-time temperature inside the incubator. There are two different models spanning a wide range of temperatures. H2200-H is a heat only incubator that ranges from ambient +5°C to 60°C. The H2200-HC is a heating and cooling unit that has a temperature range of ambient -15°C to 60°C. 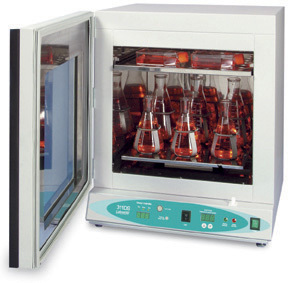 Labnet’s Mini Microbiology and Hematology Incubator is Designed for Use in Small Laboratories, Personal Use, and Classrooms. 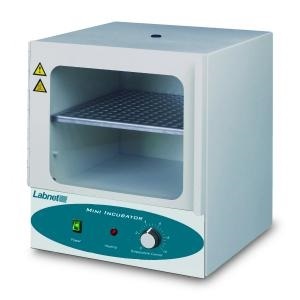 Labnet Mini Incubator features a broad temperature range to meet a variety of small sample applications. The unit is compact and economically priced. The housing is all metal, as is the door frame. A plexiglass window in the door offers full visibility to the interior. One shelf is included, and can be adjusted to three different levels – additional shelves can be purchased to increase storage capacity. 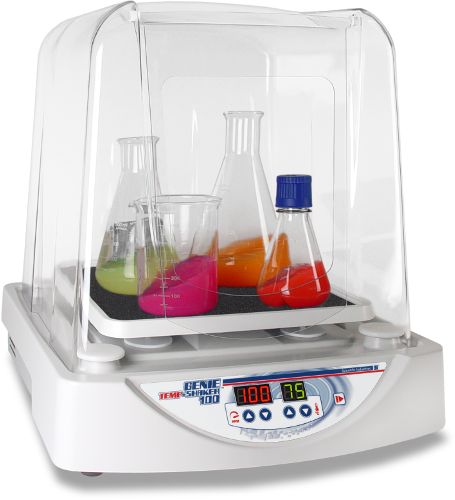 Scientific Industries created the Genie Temp-Shaker 100 as a response to the complicated process of shaking while incubator. Rather than needing to place an orbital shaker in an incubator or an incubator on an orbital shaker, scientists can easily control temperature on a spacious and benchtop convenient Genie Temp-Shaker 100. The benchtop orbital shaking incubator is designed to fit comfortably in a lab space and provide precise temperature control despite the convenient footprint. The Genie Temp-Shaker 100 was designed by Scientific Industries to combat the obstacles inherent in incubation work. The orbital shaking incubator features a unique design that allows temperature flow throughout the chamber and minimizes the loss of temperature that occurs when the door is opened loading/unloading. The optimized design, along with the included super-fast heaters, are engineered to allow the chamber to achieve the maximum temperature in little time. The Genie Temp-Shaker can reach a stable 75 ° C in only 20 minutes. All this technology combined means that the Genie Temp-Shaker 100 features precise temperature control ranging from 28 ° C to 75 ° C while also gently shaking at up to 100RPM. 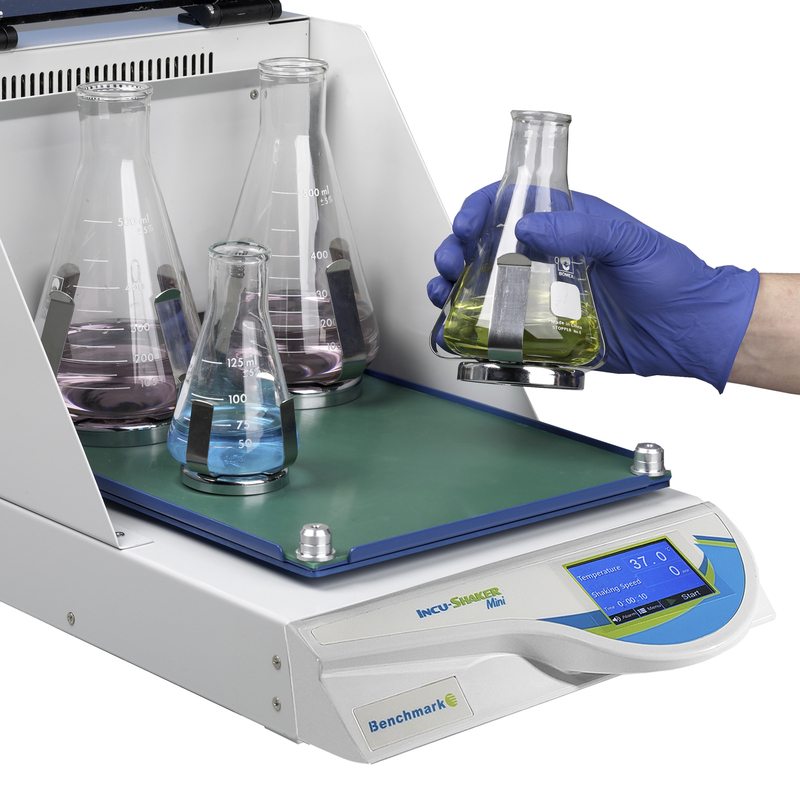 The Benchmark Incu-Shaker Mini provides an easy, convenient, and space efficient solution to incubated orbital shaking. The incubator is designed such that users can even use 1L flasks despite the device’s compact footprint. The base is only 11” x 15.7”, but the interior still allows for an 11.5” x 9.5” workspace. Users can still work with flasks, tubes, bottles, and other routine laboratory vessels, but can do so without disturbing their already busy workspaces. Each Benchmark Incu-Shaker Mini is equipped with a powerful touchscreen interface that allows users to easily control their shaking incubator from the basic screen (Shaking Speed and Temperature Control) or Advanced Temperature/Shaker control and monitoring. 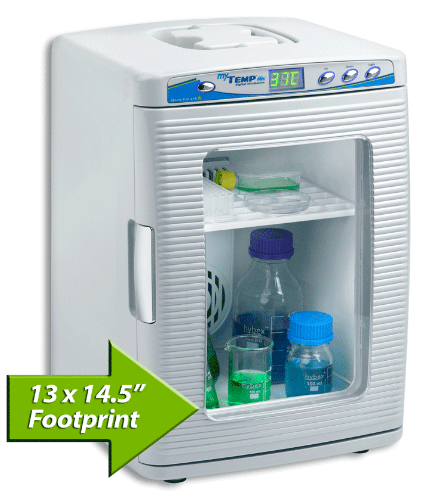 The Labnet 311DS Environmental Shaking Incubator is a high performance incubator with a built-in orbitalshaker. A broad temperature range expands the use of this incubator to liquid cultures, washing blots and other shaking applications requiring strict temperature control. Gasket door with large viewing area.